New bizhub C224, C284 and C364 colour MFPs with “improved user operation” now available from the OEM’s in-house business solutions company. 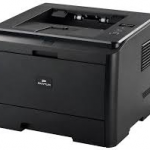 Konica Minolta states that the newly released MFPs are designed for small and medium businesses along with workgroups in larger businesses, and can be used to scan, print, copy and fax documents. The devices also feature an “effortless” nine-inch colour multi-touch panel operation which can be tailored to each user. 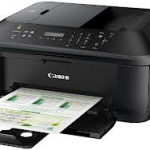 Printing and copying speeds are the same whether printing in colour or monochrome, with the C224 model being able to produce 22 pages per minute (ppm), the C284 model boasting 28 ppm and the C364 reaching speeds of 36 ppm. 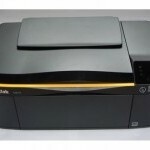 Depending on the type of task being performed, either RADF (reversing automatic document feeder) or Dualscan ADF, which scans both sides of a document in one operation, can be used. RADF is suitable for simpler, everyday tasks, whereas tasks requiring a higher quality scanning performance would benefit from Dualscan ADF which has a higher scanning speed of 160 images per minute (ipm) compared to 80 ipm when using RADF. The devices also feature “green technology”, such as the ability to scan without needing the engine to warm-up and the new “dynamic eco timer” feature which is able to analyse working conditions and automatically adjust sleep mode and ready timings to ensure optimal environmental efficiency.